Hiker on the PCT enjoys the view above Joe Lake north of Snoqualmie Pass. Photo by Tami Asars. 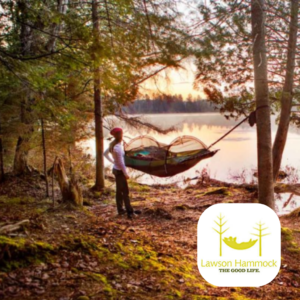 Last week we introduced a two-part interview with guidebook writer and photographer Tami Asars. 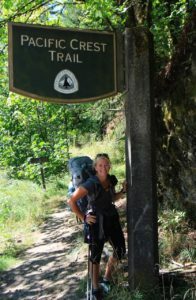 This week we complete the series with Tami Asars giving us expert advice for trekking Washington’s PCT. From shoes to pastries, Tami Asars tells us what we need to know to make the most of our own PCT experience. 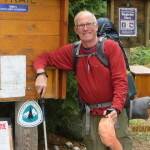 What advice would you give to someone thinking about doing the Washington part of the PCT? If someone is stage hiking is there a “must do” section? As I always say, that the feather in your cap is not that you hiked X amount of miles along the PCT, but rather that you experienced the wild backcountry with the muscle and mental power of your beautiful, human self. Every single section of the PCT has something to see. Near the Columbia River the landscape occasionally echoes our east coast neighbors with deciduous trees, riparian brush, quiet forests, dribbling creeks and view of Mount Adams and Mount Hood. 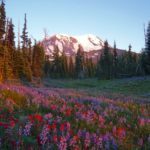 As you head north the trail curves around the broad shoulders of the giant Mount Adams and truly introduces “purple mountain majesty” with meadows of lupine and aster lining the rocky soil. Volcanic views make you realize just how tiny you are in the grand scheme of the universe. From there, it’s up and over to Goat Rocks Wilderness where an ancient strata volcano guides hikers into subalpine meadows, spectacular views and alpine landscapes before crossing one of the most exhilarating and somewhat nerve wracking stretches on the entire Pacific Crest Trail- the Goat Rocks Knife Edge or The Spine. The cliffs below you drop off into valleys up to 3,000 feet below the trail. Goat herds click and clack along the exposed rocks while grassy meadows below the trail offer rich grazing grounds for elk and deer. This view will knock off your socks and maybe even your boots. Dramatic open views are provided at Cispus Basin in Goat Rocks Wilderness. Photo by Tami Asars. North of White Pass the grade is gentle to moderate and lakes and tarns abound. There are so many in fact, that you might lose count of how many you’ve passed. The peacefulness of the place attracts visitors who wish to saturate themselves in backcountry magic on the many shorelines of this tranquil landscape. Rumors you may have heard about the trail between Chinook Pass and Snoqualmie Pass being all clear cuts is just not true. 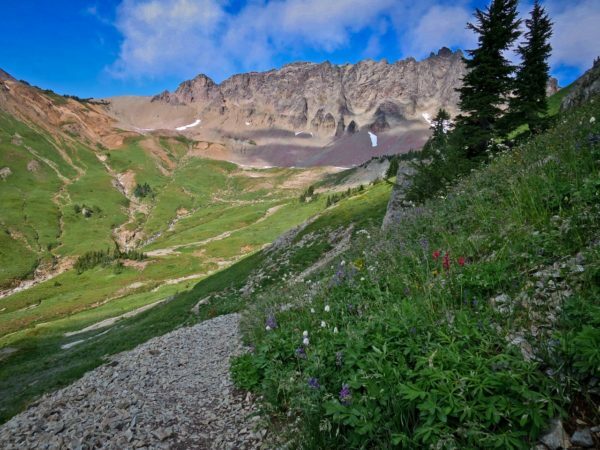 Sure there are a few here and there, but the trail also crosses the grand backcountry near Crystal Mountain ski area and the beautiful meadows and historic cabin near Government Meadow. When clear cuts present themselves, there are often herds of elk grazing on the young, green shoots. Snoqualmie Pass to Steven Pass is one of the most popular sections for a reason! The vast views of jagged peaks such as Mount Daniel, Bears Breast, and Cathedral Rock will have you reaching for your camera over and over again. Tranquil lakes, green meadows and running rivers provide hikers a brilliant opportunity to metaphorically take a load off. From Stevens Pass to Rainy Pass the countryside looms large, rugged and breathtaking. 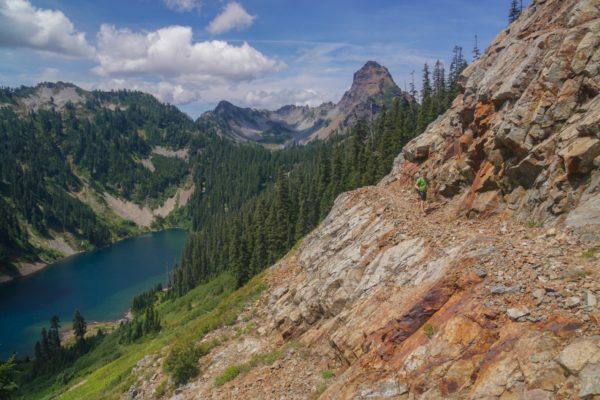 From the high country of Glacier Peak Wilderness to the rumbling, deep valleys there is something for everyone, provided you are motivated, as this is the longest section in the guide. The tiny town of Stehekin is in the mix of this stretch, giving hikers an opportunity for a side trip. The ponderosa pines of the east side of the Cascade Crest make more of an appearance and at times you feel like someone has dropped you into the set of a John Wayne movie. North of Rainy Pass the trail hits one of the most majestic stretches of the North Cascades- the vast area known as Cutthroat Pass with sweeping views of mountains as far as the eye can see. Staying on the eastern side of the crest, the trail eventually meets up with the car camping area of Harts Pass, a popular access spot for those looking to sync up with friends. From there, it’s more peaks and valleys until you arrive at Monument 78, also known as the wide swath of cleared land differentiating the US and Canadian borders. 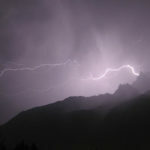 Folks looking to travel into Canada and end up in Manning Park, B. C. must have appropriate paperwork arranged in advance. With that in hand, you’ll sleep like a baby once you reach the cozy Manning Park Lodge off Highway 3, the final destination for many weary hikers. I really love the North Cascades from Rainy Pass to Manning Park, B. C.! That stretch is extremely panoramic and, if you can wait until fall, you’ll be in the thick of yellow larch trees and fewer people in the backcountry. When you get closer to the Canadian Border, the only evidence of people is the trail you are following. Simply put, it’s undisturbed serenity. How did your experience guiding the Wonderland help with this project? I actually guided on the Northern Loop Trail in Mount Rainier National Park which connects in with the Wonderland. During that experience, I saw people with a variety of athletic abilities carrying a pack, many for the first time, over challenging terrain. I made a few notes of ways to make this guidebook extremely useful. 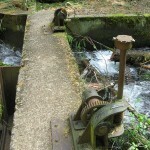 Water sources. Folks new to backpacking will often carry way too much water, fearing that they may not find more up ahead. Carrying too much heavy water can weigh the most athletic hikers down to a snail’s pace and create potential for injuries. A good guidebook, like my PCT guide, will have information on where water sources are found and can be a tremendous asset in your planning. When you are training, learn your body’s hydration needs and carry only the amount you require until your next water source. Also, when you get to your water source, fill a bottle and drink it before you leave. As a guide, we helped people do the delicate dance between carrying too much water and carrying too little. Camping challenges. While the Northern Loop and Wonderland Trails have prearranged designated camps, the PCT does not. In the beating heart of the summer, on some of the most popular PCT sections, camps get very full. When this happens, section hikers have no idea how far they need to keep hiking on tired feet and sore shoulders until they reach the next viable flat spot to call home for the night. I spent two years documenting all the camps along the trail including them in the guide’s elevation profile, maps and trail descriptions so that folks know exactly how far it is from one to the next. There is even a camp to camp distance chart at the end of each leg to further help those folks who want hard numbers. There are many, but if I had to pick one, I’d say my Altra Lone Peak trail running shoes. Years ago everyone wore heavy backpacking boots, but these days it’s much more common to see folks traipsing down the trail wearing a lightweight, sneaker-style shoes designed to handle off- road terrain with reinforced foot protection and more aggressive stability. The trail shoes were a game changer with respects to foot and leg fatigue and allowed me to cover much more ground than traditional hiking boots. Not only are they lighter, but the wide toe box provides plenty of room for my swollen, weary feet to spread-out without rubbing, pinching or impeding in anyway. Since I’ve started wearing them, I’ve gone from 15 mile days to over 20 with very little foot pain or exhaustion and for a professional hiker like myself, those are precious, deadline miles! Any places off the trail (towns, restaurants, coffee shops, post offices) that you would recommend? Don’t even think of missing the town of Stehekin! It’s one of the most amazing micro-towns you’ll ever get the chance to visit. There is so much to see and do in this historic villa located at the northern tip of Lake Chelan. Waterfalls, a historic one-room school house, a rustic bakery serving mouthwatering pies and cinnamon rolls, a gorgeous garden selling local produce, cheese and honey, bicycle rentals, kayak rentals, petroglyphs, fly-fishing adventures, and a handful of salt-of-the-earth residents are just a few reasons to visit! My new guidebook has contact information for a variety of lodging and activities you may want to enjoy.